> SÕIDUVARUSTUS>Kiivrid>Kiivrite varuosad ja lisad>Sidevahendid>Schuberth SRCS II C3 PRO E1 60-65 / UUS versioon! Schuberth SRCS II C3 PRO E1 60-65 / UUS versioon! Integreeritud kommunikatsioonisüsteem Schuberth C3 Pro & E1 kiivritele. Saadavus: Tellimisel 3 tööpäeva jooksul! The Schuberth SRC for C3 Pro and E1 is a communication system which is integrated into the acoustic collar of the Schuberth C3 Pro and E1 Adventure Helmets. You can install it in your helmet in just a few minutes according to the plug & play principle, and it is connected to the antenna integrated into the C3 Pro and E1 as a standard feature. 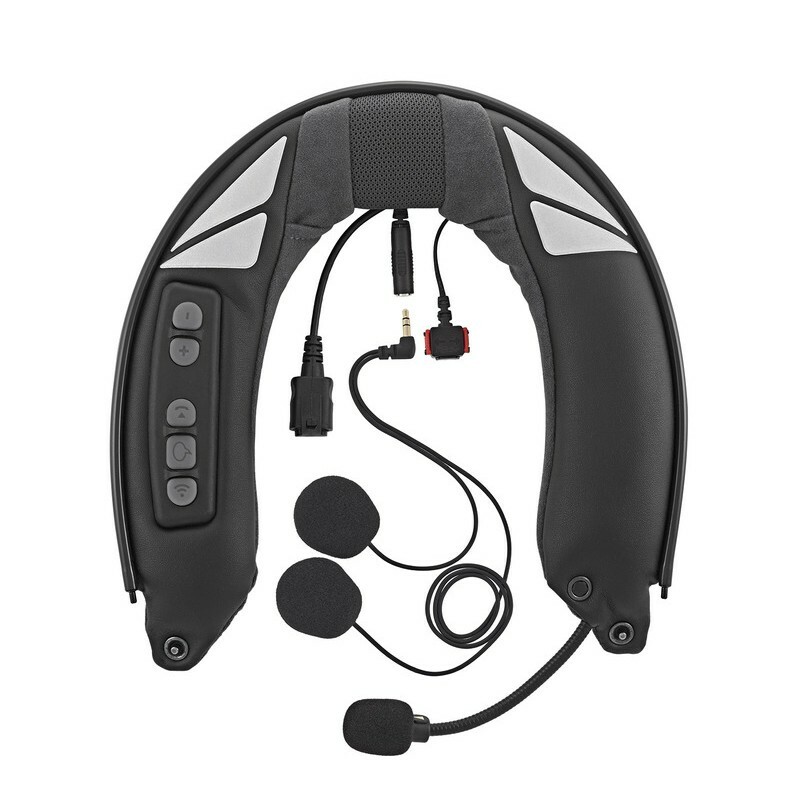 Intercom: Up to four motorcyclists can communicate simultaneously with each other using the SRC­System PRO. Under ideal conditions the range is up to 1000 metres. Phone + GPS: The connection between a mobile phone with Bluetooth capability and the SRC­System PRO is extremely simple to set up. Incoming calls can be accepted with a voice command and using the keys of the SRC­System PRO. This also applies for navigation devices with Bluetooth capability. After the SRC­System PRO has been connected to the GPS device, the rider can receive the voice instructions conveniently over the two ear­phones. MP3 & Music­Sharing: Most commonly available MP3 players can be connected to the SRC­System PRO via the multifunctional USB interface. If the MP3 device supports Bluetooth A2DP technology, no cable is required. VHF Radio: The integrated VHF radio now enables you to listen to your favourite station and important traffic announcements while you are travelling. The antenna which is already integrated into the C3 Pro & C3 Pro Women as a standard feature guarantees top quality reception at all times. Thanks to the RDS function the strongest signal for the selected frequency is always picked up, even at high speeds. You can store up to six radio stations. Software Update: Always keep up to date. The latest version of the SRC­System PRO is always available to you as a download. If you register your SRC­System PRO, you will be informed by email as soon as a software update is available. Range depends on terrain. Intercom operation requires other devices. Microsoft Windows operating system is required.